Thoughts from a triathlon coach…. This day may go down in Rowlands history as the fastest Christmas tree choosing ever. Unbelievable! After a morning if raking leaves of retired friends of the family we ventured out to Zionsville to the College Christmas Tree Farm. This may be the third year of going there.? Easy to get to. 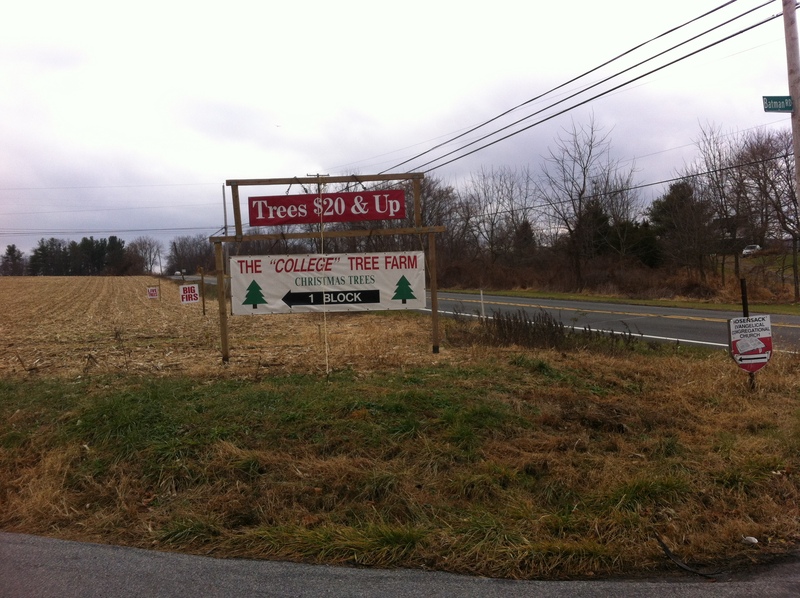 Great selection of pre-cut and choose your own and cut trees and cheap. 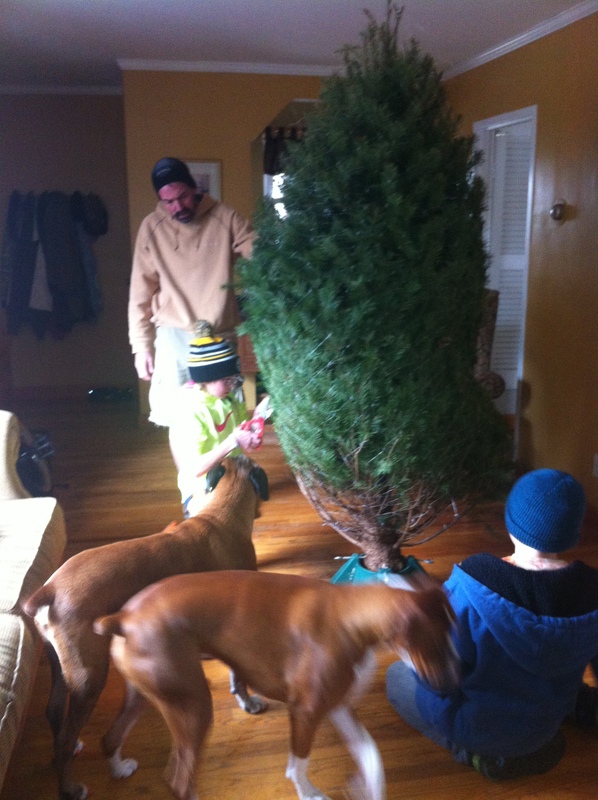 For a 7 foot tree we paid $36. Not a bad deal at all. As with years past, this is a family affair. With the Garrett and Haley getting older, they were able to carry the tree into the house, set it up and get it unwrapped. 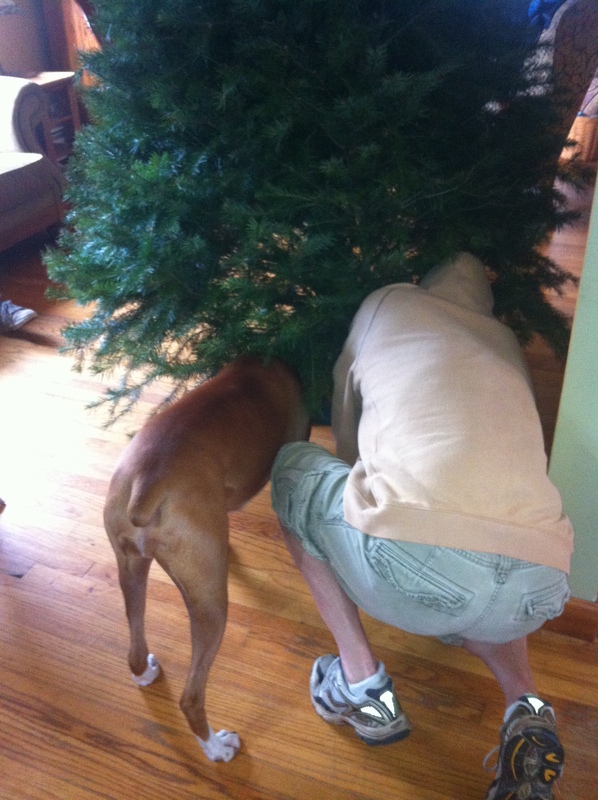 Then of course, we had to have Bruiser inspect the watering of the tree…again! Hoping all of you have as much fun as us “pre-paring” for Christmas.